(AFP) - The president of the tiny archipelago of Comoros, Azali Assoumani, looks set to win a new term Sunday in an election that rivals say has been hijacked. In a pre-election visit to Anjouan, Azali oozed confidence of victory. He burst out laughing when asked about defeat. "That's a question I won't answer. When you set out to do something, you do it to win!" 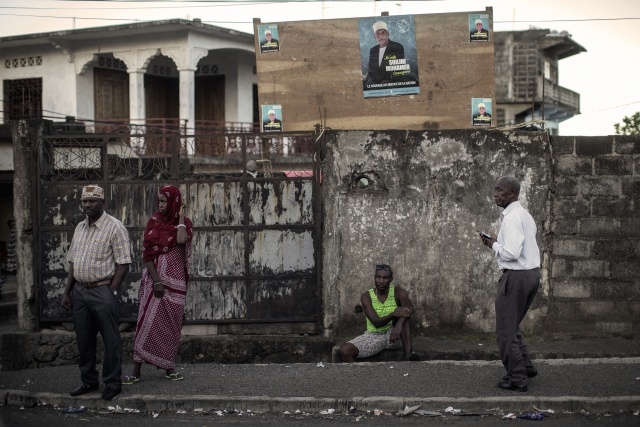 The opposition fears that Azali, a native of Grande Comore last elected in 2016, could hold power for 10 more years until 2029. He toppled an interim president he saw as weak in handling secessionist forces, and then was elected in 2002.